Protect your beautiful paint job when you work on your car with a Mustang fender cover from Late Model Restoration. 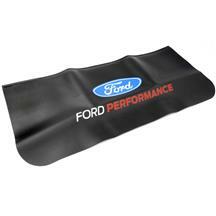 These vinyl Ford Racing fender covers have a built in tool tray to keep everything organized. Not a fan of vinyl? 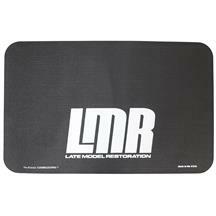 Try one of our soft rubber fender covers instead. With designs like a pony logo, cobra logo, and Ford Racing logo, protecting your fenders never looked so good. 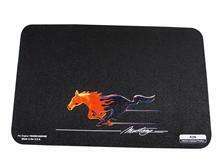 Every cover is slip resistant and protects your Mustang's paint job from scratches, chemicals and oil. 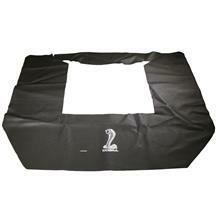 Keep chemicals, tools, and dirty hands from ruining your paint job with a slip resistant Mustang fender cover. Choose from a vinyl or soft rubber cover offered with various logos including a running pony, cobra, or Ford Racing logo. The Ford Racing covers have a built in valley to hold your tools and small parts keeping them nice and organized.